Located in the municipality of Santa Eulària des Riu, Can Musón is a place unlike any other on the island. What makes them remarkable, besides a close connection to the local ecosystem, is Can Musón's commitment to socially-responsible causes. Located in the municipality of Santa Eulària des Riu, Can Musón is a place unlike any other on the island. What makes them remarkable, besides a close connection to the local ecosystem, is Can Musón’s commitment to socially-responsible causes. It’s what earned them and eight other sustainable tourism advocates a nod from the Govern Balear at the Nit del Turisme (“Evening of Tourism”), held in Ibiza’s Palau de Congressos. That appreciation was driven by Can Musón’s special brand of quality tourism, in tune with their surroundings and unmatched in enjoyment. The kind of experience Can Musón offers —intimately tied to our forebears and their ties to the land— is a guaranteed ticket to authentic Ibiza. Visitors of the 65,000-square-metre farm are taken on a trip back in time through a multitude of homespun traditions. 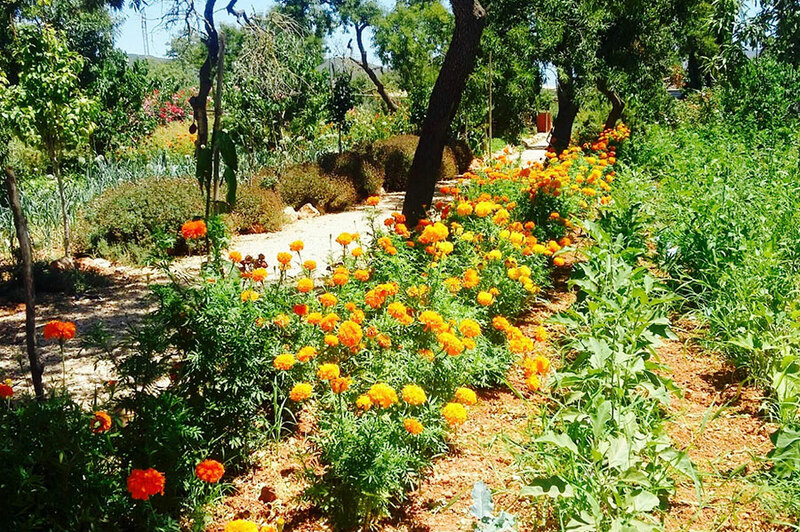 The expansive estate is both a seedbed for organic fruit and veg and a haven for nature and Ibiza’s native species. From 9.00am to 7.00pm Monday to Sunday, Can Musón is the ideal site for families or friends keen on a stroll through the organic vegetable patches or the groves of fruit trees. Or perhaps you’d fancy feeding the farm’s menagerie of rabbits, ducks, turkeys, pigs and chickens, all native to the island. Or, if what you seek is a bit of rest, there are plenty of places to get just that. How about a hammock? Workshops on different trades and crafts are among the activities that offer visitors a deep-dive into Ibizan culture. Try your hand at making traditional bread, hierbas ibicencas, flaó or goat cheese, all with the freshest ingredients and using time-tested local techniques. María Marí Colomar, Can Musón’s founder and owner, hung up her hat as a decorator 10 years ago to chase her dreams. Today, she is “thrilled to be doing [her] part to raise awareness about Ibizan culture,” an undertaking she says is closely intertwined with the countryside, nature conservation and “the cues passed down from our grandparents”. She has shaped her mission around protecting the island’s natural resources and passing along hometown traditions to younger generations. Something worth celebrating, indeed. One of the initiatives at Can Musón was hatched especially for children. S’al·lot Verd (“the green youngster” in Catalan) was designed as a “farm school” where the goal is to teach children three and over things like enjoying country living, proper recycling, respect for the environment and even how to make their own snack.